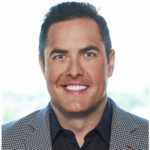 Total Expert, a banking and lending marketing software company, announced the close of a Series B funding round worth $20 million. Leading the investment was The Emergence Capital, with participation from Rally Ventures and Arthur Ventures. Since its launch six years ago, Total Expert was raised $34 million total. The funding is allocated for a range of purposes, but the Minneapolis-based company said it planned expansion into insurance and wealth management markets. It currently employs 162 people. 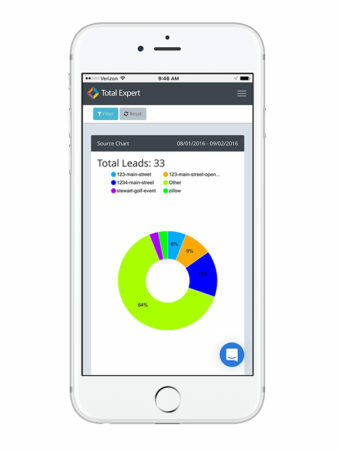 Total Expert provides marketing software for banks, enabling them to monitor and react to consumer behavior online, find and engage new leads around mortgages and other types of loans, and automate communication exchanges while meeting compliance. Its main product is Marketing Operating System (MOS), a program that helps users oversee leads’ and clients’ social media activity, email metrics, and text messages from initial engagement and mortgage research through home search and closing. The Total Expert MOS is also used to help banks market and sell more common financial products, such as checking accounts and credit cards. According to a press release, the company supports marketing and encourages revenue growth for 10% of $2 trillion per year within the U.S. mortgage industry. “People expect digital simplicity and real human relationships, and financial services companies too often lose these relationships,” said Joe Welu founder and chief executive officer at Total Expert. Welu added that personalized, timely messaging is critical for the banking world to succeed in today’s hyper-connected business environments. “We started Total Expert to ensure banks and lenders stay ahead of how customers expect to communicate, shop, and manage their financial lives in the digital and social era,” he said. The company realized an opportunity in the early stages of the post-recession economy in 2012, locking on to the mortgage industry, which had become highly regulated and difficult to market given the nation’s collective opinion on the stare of the banking industry. Since then, Total Expert has managed to secure the business of more than half of the country’s top 15 lenders, including, U.S. Bank, LoanDepot, and Guaranteed Rate. About the company, Joseph Floyd of Emergence Capital, the funding’s primary backer, said that Total Expert’s team has fueled its growth. “Their team of engineers, data scientists, designers and financial services veterans puts them in a rare position to modernize how financial institutions acquire, manage and grow customer relationships,” he said. The news release also states that the company has multiplied its customer base 7x in the last two years alone. Total Expert is the fastest growing software company in its hometown of Minneapolis, and named to the Star-Tribune’s 2018 List of Top Workplaces. In August of this year, it made the Inc. Top 500 list of fastest growing American companies. Are real estate's giants ready for a stock market correction?